Northwest Film Forum welcomes the 2017 South Asian International Documentary Festival! All screenings are FREE. The 2017 South Asian International Documentary Festival (SAID) is organized by Tasveer. We are pleased to announce that this year, thanks to support from the Seattle Department of Neighborhoods, all screenings are presented FREE OF CHARGE. As the only South Asian documentary festival in the Northwest, SAID offers films on a wide range of subjects that represent a diverse array of South Asian communities. The festival aims to provide quality documentaries that speak directly to the issues relevant to South Asia and its diaspora. DIRECTOR IN ATTENDANCE! Cities of Sleep is set in a world where just being able to secure a good night’s sleep often becomes a matter of life and death. 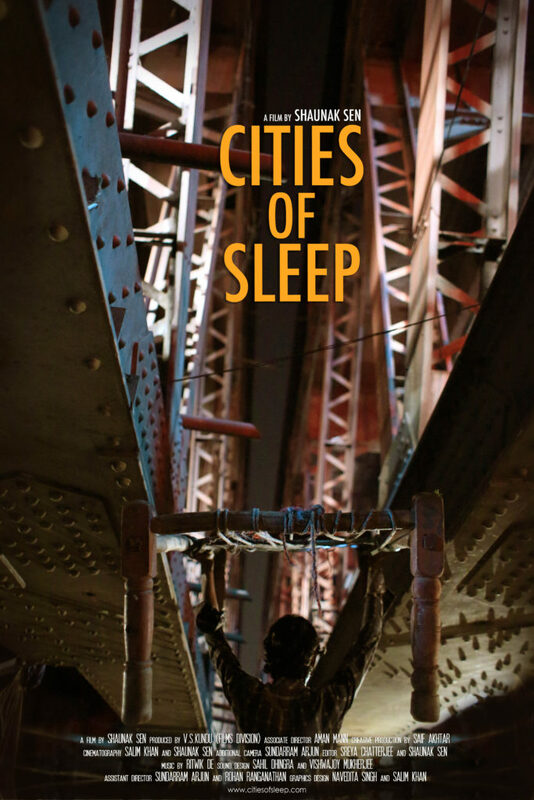 Trailing the lives of two individuals, we enter a heady world of night-shelters, improvised sleeping spots, and the infamous ‘sleep mafia’ of Delhi, to look at the enormous influence the otherwise banal activity of sleeping is able to exert on a large number of people. DIRECTOR IN ATTENDANCE! Part of the program, Be a Man!, these two films use the voices of South Asian men and women from different generations and backgrounds to understand the construction of masculinity in India. WORLD PREMIERE! A Muslim punk band heads on out on a national tour, and in the process discovers what it’s like to be young, angry, and in search of somewhere to belong in an America transitioning from war into something new. Meet Sonita, a spirited, young Afghani woman who fights to live the way she wants, as an artist, singer, and musician, in spite of the many obstacles she faces in Iran and with her conservative patriarchal family.